The theme for this conference is “Marketing Mastery for Authors” and if you work with authors you will be sure to learn things that will help you with your clients! After the 7th annual Nonfiction Writers Conference held in May, there was such a demand for a second conference they are now doing a Fall conference for the first time ever! This conference will be a shorter version of the annual conference, but still packed with all of the value you’ve come to expect from NFWC! Early bird special: Save 30% off conference registration with this code: NFWC30 (Expires 10/13/17). All sessions are delivered by teleseminar! Participate via phone, webcast or Skype. Jim Horan – Opening Keynote: Ready for Your Author Business to Get Easy? Click here to view more details or to register. #VAVS 15 Theme: Virtual Assistants Growth MIB (Mindset, Income, Business). #VAVS stands for the “Virtual Assistant Virtuoso Seminars”. Hosted by Tawnya Sutherland, who has been working successfully as a VA for over 20 years and knows what Virtual Assistants need to learn to be successful. She understands what works and what doesn’t to have a successful business. This online conference is designed to help VAs grow their business in the right direction. There are only 200 seats available so they usually sell out and it’s only $37 to attend online! Alicia Jay – 7 Steps to Create a VA Business—and Life—That You LOVE! Alicia Peterkin – [SPONSOR] Stop Being Your Own Worst Enemy! Erika Yocom – Best Mobile Apps for the VA World! Amy Farris – [Sponsor] LinkedIn Hacks – 5 Simple Hacks to Getting Organic Leads Within 24 Hours! Kathy Colaiacovo – Blogging Basics for the VA: Stop Whining and Get Writing! 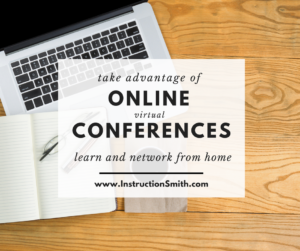 There is also always extra time to network with your business peers within the chat area of their online conference room (one of the big raves about #VAVS). It’s super easy to use too. Remember, networking isn’t hard! Networking is simply a conversation that helps build relationships.